I have a little story to share about how I made a big mistake that impacted my day and several days after that. I want to show you how you can avoid this happening to you on your big day. 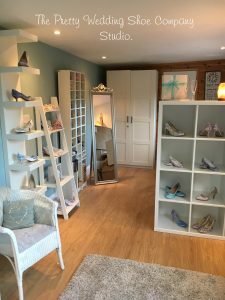 So, on Sunday I was attending a local Wedding Fair and realised I didn’t have any shoes to wear that matched my outfit (crazy I know when I have a studio full of shoes – but I have been too busy with orders to sort myself some out!). Anyway, I had a cheap pair I had bought online in the summer and had based coated them in teals and they were my size so I grabbed them and dashed out the door. They didn’t feel that comfy, but but I thought they’d be ok. I was wrong, so very wrong! Blisters! Two red raw bleeding blisters. It is hard to imagine the pain that something so small can cause. I actually clocked up three miles in those damn shoes and I regretted wearing them every single painful step. 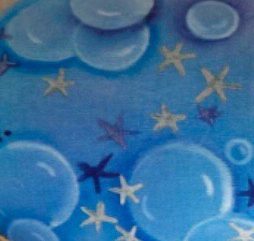 I even popped into the loo and tried to see if a bit of loo roll could be used to soften the rub, but the paper kept working its way upwards and I didn’t think that was a very cool look! I thought I would spare you a picture of my blisters ( not pretty! 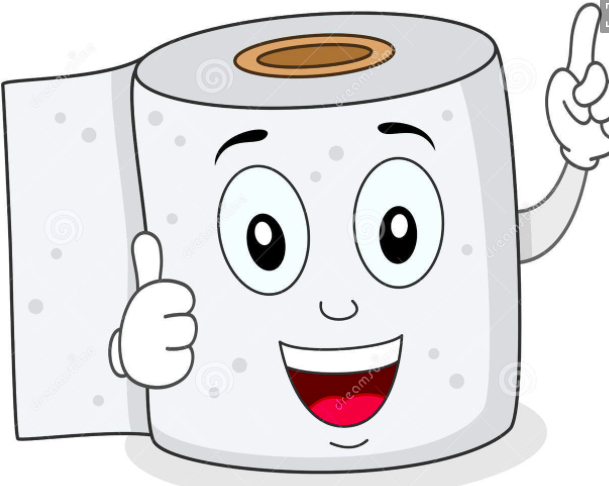 ), so choose a loo roll instead! 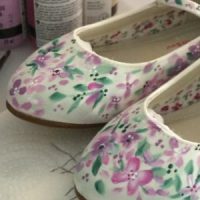 Now I should have known better, I know about shoes – shoes are my business! 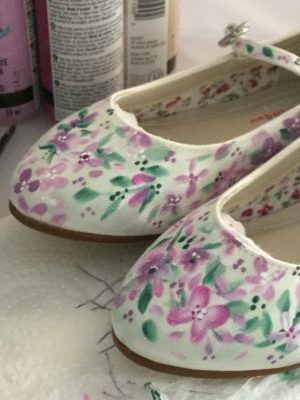 I know about breaking shoes in, I know cheap shoes have hard seams that rub and are made of inferior materials without comfort in mind. 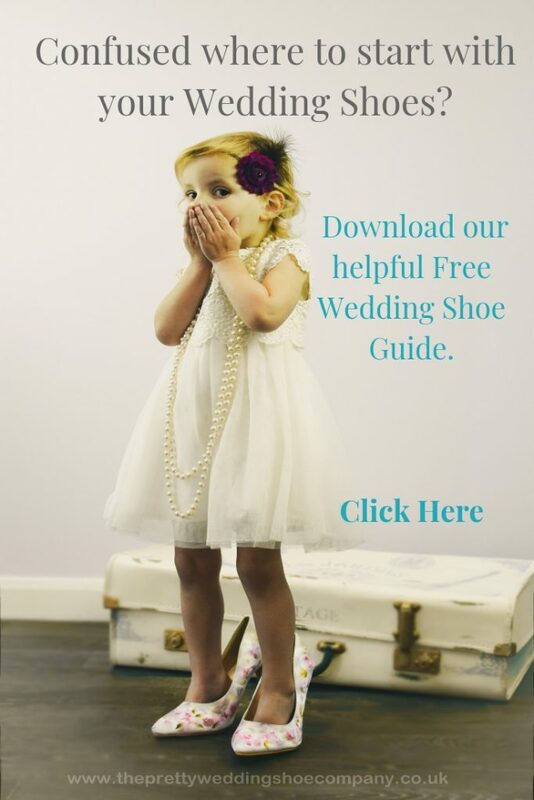 I know all this and have even researched and written a free Wedding Shoe Guide packed full of useful stuff about buying the right shoes, which also includes top tips for breaking in your shoes! I couldn’t believe how much my blisters hurt. They hurt in bed when I lay down, they hurt in the shower when soap got on them, they hurt when my jeans touched them. I can only imagine blisters, sun, sea and sand wouldn’t go very well at all and could ruin your honeymoon! I am still paying for my mistake a week later. All my shoes hurt the sore area and so I have been wearing flip flops while they heal. You may have spotted a mad woman out in flip flops in the recently wet and windy weather. Yep, that was me! All I can say is what a muppet I was! But I am happy to take one for the team, if you can learn from my mistake! Please, please follow my tips for breaking shoes in. New shoes can seem comfortable when you try them on, but then cripple your feet on their first long outing. You definitely don’t want that to happen on your Wedding Day. 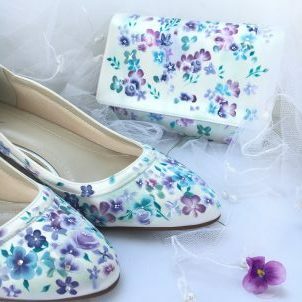 Follow these few simple tips for breaking shoes in and be comfortable all day long. 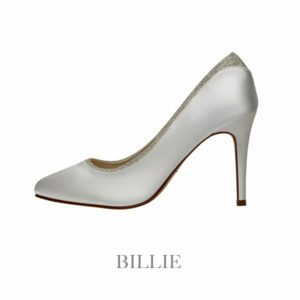 Try wearing your new shoes for ten minutes a day for the first few days, gradually building up the time you wear them. Take them to work and pop them on when you are at your desk. This is an important part of breaking shoes in. 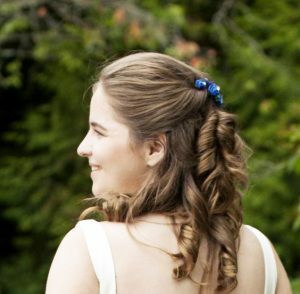 Don’t make your wedding day their first long outing! Do your housework or a task while wearing your shoes. This will give them a better, more realistic workout than just walking up and down the lounge. Get confident navigating any steps you may encounter on the day by practicing going up and down stairs. Another great way to break in new shoes, especially if they are a little tight, you is to wear them with a thick pair of socks! Not very glamorous I know, but it will help stretch them. Just remember to leave the socks behind on your special day! Lightly dust your feet with a little talc, to reduce friction. This really helps them feel comfy and smelling sweet! 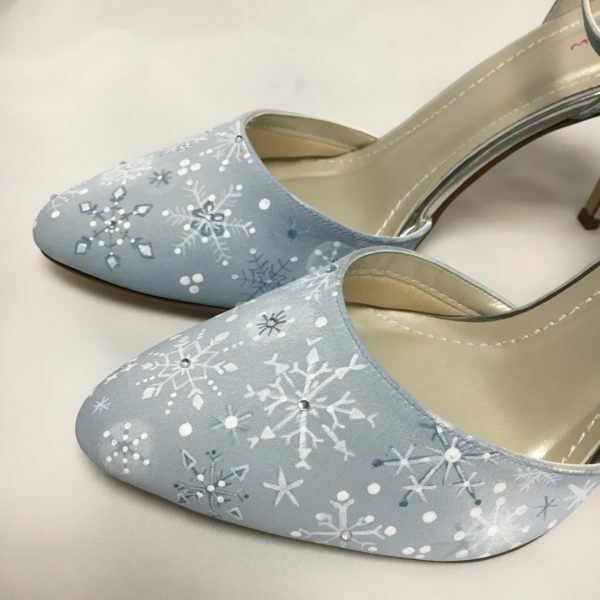 Consider using one of the special comfort gel pads that you can insert in the shoes. These are available online or good shoe stores. Rainbow Club Shoes have a special comfort sole built in already! Change in to flats for the evening reception. 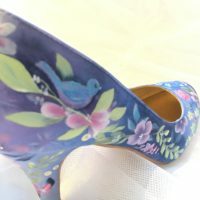 Check out the really pretty range of hand painted satin flats that we do. 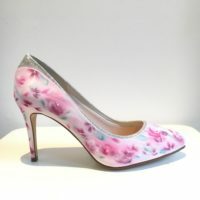 We can even paint you a pair to co-ordinate with your heels so you feel special long in to the night! 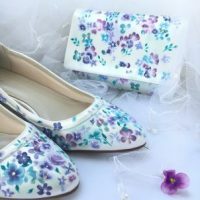 Last but not least, think twice about buying cheap shoes! Please learn form my mistake. My blisters still hurt three days later and I can’t wear any shoes as they rub, so I am walking around in flip flops in October. As I said before – what a Muppet! 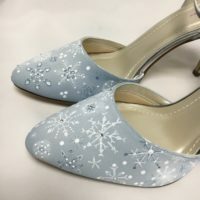 If you enjoyed this blog about breaking shoes in and found the Tips useful you maybe interested in my Free Wedding Shoe Guide – Everything you need to know about buying the right shoes.